I find these Hotchocspoons from Netherlands based Chocolate Company super clever. Just stir into a mug of warm milk and voila! you have a nice hot mug full of happiness. 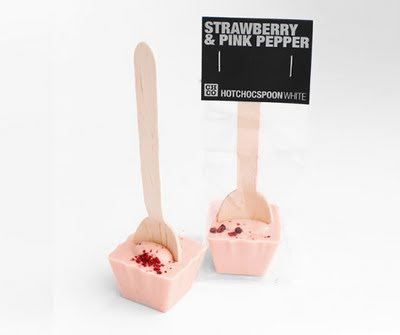 The spoons come in flavors such as Praline & Nougat and Brownie but the Strawberry & Pink Pepper white chocolate caught my eye. They'd make fantastic stocking stuffers. 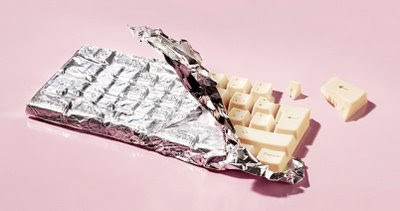 via coolhunting. Your dwindling holiday gift budget will be easier to swallow once you learn that Sucre is donating a percentage of their seasonal sales to the LA/SPCA this year. There's nothing like win/win gift giving to put you in a festive mood...oh and uh smooth eggnog, gingerbread and candy cane truffles help too. Everyone loves chocolate so you really can't go wrong when searching for the perfect inexpensive holiday gift for associates, grab bags and difficult to please loved ones. It's especially great for people like Grandma who rants and raves when she feels like you spent way too much and complains that she "already has everything and doesn't need a new blender because her blender from the 1950s works perfectly well." In her case, I'd go for a tin of decent toffee or a box of grandma approved assorted chocolate. Why go though the trouble to save those gift receipts when no one in their right mind would ever dare have you return a box of perfectly fine chocolate. Happy Shopping! Reese's Dark Peanut Butter Cups Giveaway! Use Twitter to tell us why you should be one of three winners to receive four two-packs and two bags of miniatures. Link to your tweet in the blog comments. Three best tweets win! Good Luck! 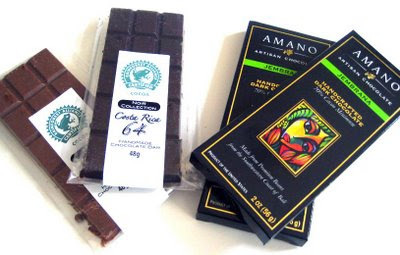 A fellow Chocolate Nerd just asked what one should eat while avoiding refined sugars. 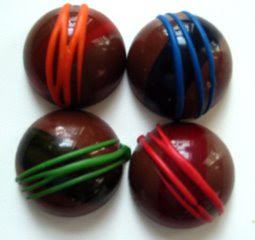 Xan Confections Wholly Cacao Caramel collection is an exciting option. Made with agave nectar, they're completely delicious without compromising decadence. Flavors include espresso almond, coconut pecan and banana foster. Best of all, they're completely fabulous in their gorgeous jewel tones. It's been 40 years since the Apollo 11 crew landed on the moon in the Lunar Lander. To commemorate, Los Angeles based ChoclatiQue has created a special edition collection of Moon Rocks with flavors like Apollo Almond and Mission Control Fig. I'm completely excited about Nasa's Orion Spacecraft which is set to shuttle a new generation of explorers to the moon. Infact, we may live to see space colonies and moon tourism in our lifetime. Nasa's Constellation Program hopes to establish a human outpost on the moon by 2020! Check this out. I've been all about toffee, chocolate and nuts as of late so I was thrilled when Jer's sent over a few packs of their Chocolate Covered Peanut Brittle Bites. My favorite was the Coco Nutty hands down. 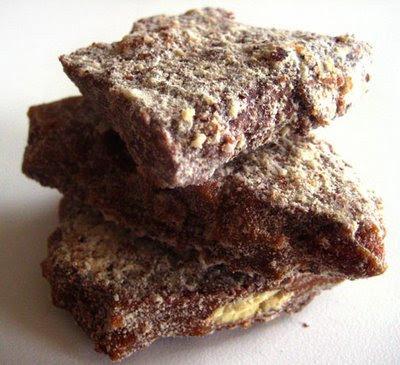 Think buttery peanut brittle covered in dark chocolate then sprinkled with coconut flakes. The brittle center tastes more like a smooth, peanut flavored toffee rather than a classic peanut brittle with whole nuts but it works well. Also, if you're into chocolate in your peanut butter then Jer's Original Peanut Butter IncrediBars--which were devoured within the hour by my dear friends-- are also definitely worth a try. 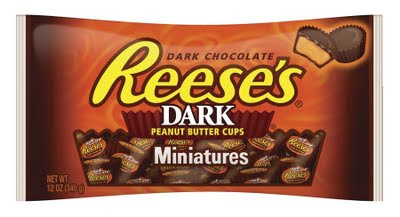 I would even go as far to say that they almost rival the traditional Reeses in terms of satisfaction. If your debating what to get dad for Father's Day, let me give you a little tip--the same old ten dollar necktie is a pretty lame idea while a box of Enstrom's Almond Toffee would kick the tie's behind and look pretty handsome sitting on dad's wooden desk. 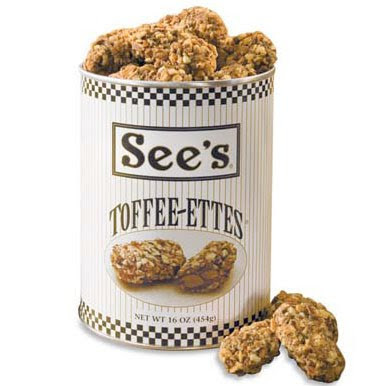 The toffee is made with only four ingredients-California almonds, sweet cream butter, pure cane sugar and milk chocolate. Then it's finished with a powdery coating of crushed almonds. The result is extremely almondy, not overly chocolatey, definitely awesome. 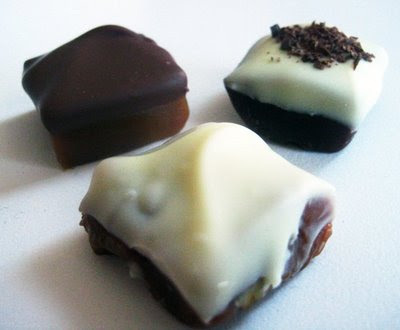 Amella's Artisan Cocoa Butter Caramels are nice and buttery, rich with flavor and made from wholesome ingredients. The flavors are awesome. Seen here are Passion Fruit, Black Forest (made with cherries and 70% dark chocolate) and Carrot Cake-which really hits the spot with fresh carrots, toasted pecans and unsalted butter. Each is crowned with a dollop of frosting made of creamy white or milk chocolate. 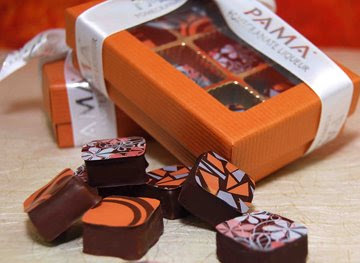 They remind me of quaint little petit fours and the packaging is even more elegant, making Amella the perfect gift for a very lucky caramel enthusiast. The original synthetic diva turned 50 this year. 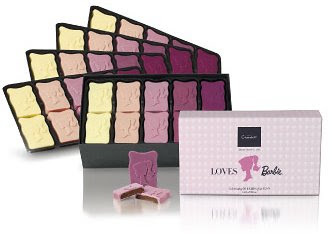 In homage to her fabulousness, UK based Hotel Chocolat created this fantastically girly Barbie Chocolate Box. 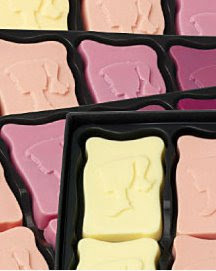 It features Barbie inspired flavors such as strawberry, vanilla and caramel in hot pink, pink and even more pink! I want it!!! I've actually been bribed in life with a John-Georges Vongerichten Warm, Soft Chocolate Cake. I'm not kidding. His original recipe calls for bittersweet Valrhona but when I have extra bounty laying around, it's fun to experiment. This time I merged together a few Jembrana origin bars from award winning Amano and Costa Rican Rainforest Alliance bars from the Chocolate Truffle Company of the UK. Together, they made for a super decadent, complex, cake, although I'd add a small amount of extra sugar next time. 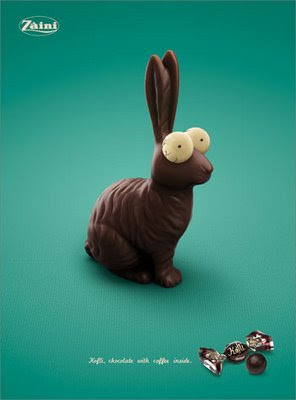 The hilarious ads for Zaini Chocolate's Kofli, coffee bean candies feature an overly caffeinated Easter Bunny and friends. I'm sure we could all use an extra perk! You can find the Italian candies here. Preparing chocolate inspired dishes generally requires the use of tools that you normally wouldn’t use for everyday cooking. 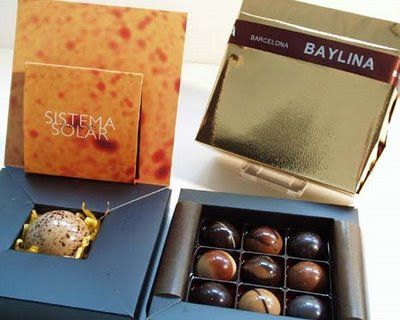 Chocolate is a very particular food and special care must be taken to insure that it is prepared properly. Here are a few simple kitchen tools and dinnerware that no chocolate lover should be without. Hot Chocolate Maker Hot chocolate can be prepared in a variety of different ways. While some people are content simply mixing cocoa powder and hot water, I prefer to brew hot chocolate with a ceramic hot chocolate maker. 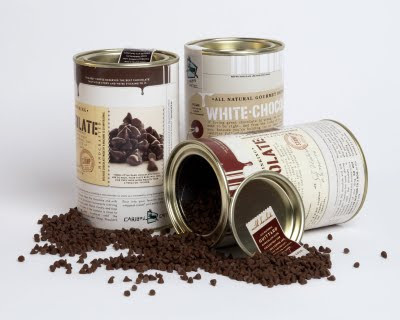 These makers whip milk and cocoa together into a creamy and frothy decedent beverage whose taste cannot be beat. Hot chocolate made the way it was meant to be, in a traditional hot chocolate maker, puts modern microwave style chocolate to shame. Double Boiler I love to melt chocolate to use in cakes and brownies or to cover pastries or cookies but without a double boiler this feat is almost impossible. Simply boiling chocolate in a standard pan will burn and harden the chocolate, making it difficult to spread or cover foods. A double boiler will heat chocolate to the optimum temperature, keeping it at a consistency that allows for drizzling, spreading, and dipping. 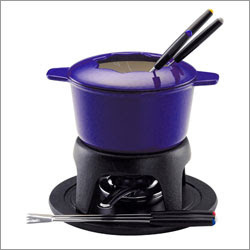 Fondue Pots Fondue is a popular party dish that is as much fun to eat as it is delicious. While some people prefer to melt cheese to accent meats and breads, chocolate fondue is the only decadent option. By heating and keeping chocolate at a deviously creamy consistency, your friends will love dipping assorted fruits into the pot for a luscious after dinner treat. 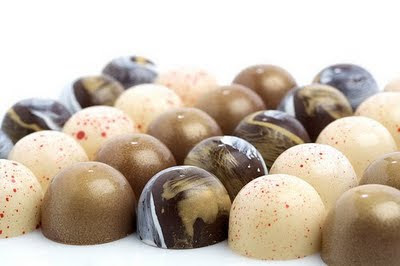 Fruits like strawberries, bananas, apples, raspberries, and many other foods can be paired with chocolate to create mouth-watering flavor combos. I'm sure a ton of people have wanted a piece of Grace Jones for years. 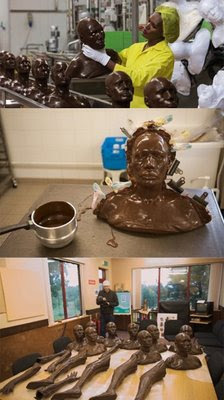 Now they can sink their teeth right into her dark chocolate with this life sized chocolate replica molded directly from the iconic diva's actual body parts. I'm in awe. Leave it to Grace Jones to do this! More here. 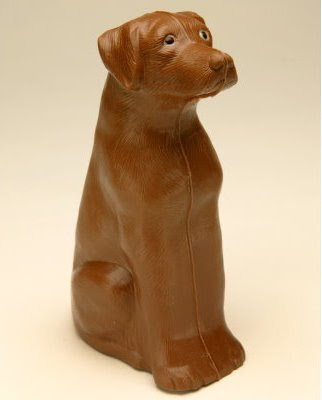 My recent post on Kohler confections made me wonder what other companies would do with chocolate. Someone totally beat Apple to this one! Found via gizmodo. Kohler, the people who make faucets, have set a very intriguing precedence with their luxury chocolate collection. 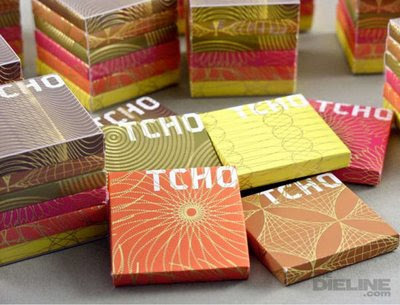 It's obvious that their keen eye for design translates marvelously to chocolate as these are just about my favorite truffles-- aesthetically speaking. Such high gloss little works of art. They look like beautiful buttons or even knobs. At first I didn't know whether to play with them or eat them. Glad I caved as the coconut and hazelnut are amazingly yumtastic. 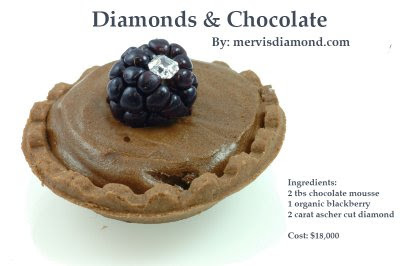 I wonder what companies like Apple or BMW would do with chocolate? 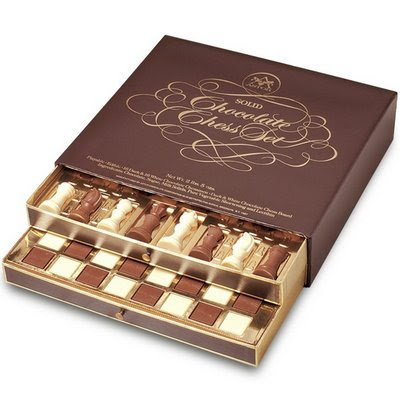 This handsome chess set from Astor chocolate consists of 96 pieces of solid milk and dark chocolate. And while it will set you back $175 bucks, how much fun would it be to gobble up the opponents Queen? The classic martini has its olive and apple martinis have their apple slice while chocolate martini lovers have pretty much been left out in the cold. Milwaukee based Cholives must of recognized the void as they've created the perfect garnish for our drink of choice. 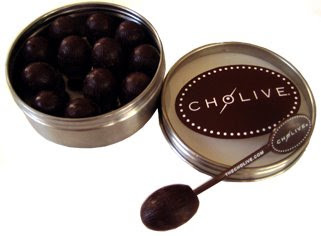 Their 55% dark chocolate is formed in the shape of a dimpled olive then filled with creamy ganache. The portable tin comes with your very own bunch of skewers. Rejoice! Think I'm officially psychic. 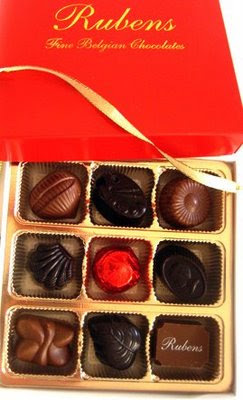 Was thinking that I wanted something yummy for Valentine's day from my favorite New Orleans shop. 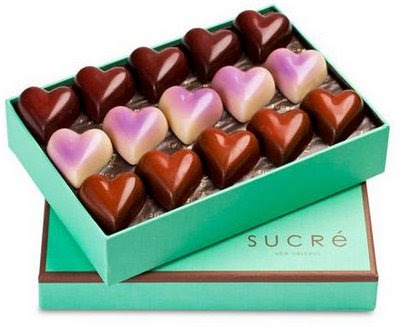 Before I could place the order, these gorgeous, iridescent, gem-like hearts filled with raspberry, grand coeur and rose scented ganache arrived at my door. It's great to be loved!